As I sat at my desk staring at Squidgy and Teddy in their packet, inspiration hit me. There are two stamps (and a sentiment actually) in this packet, so I decided to use the smaller Squidgy to create a background. Bosh! Job done. 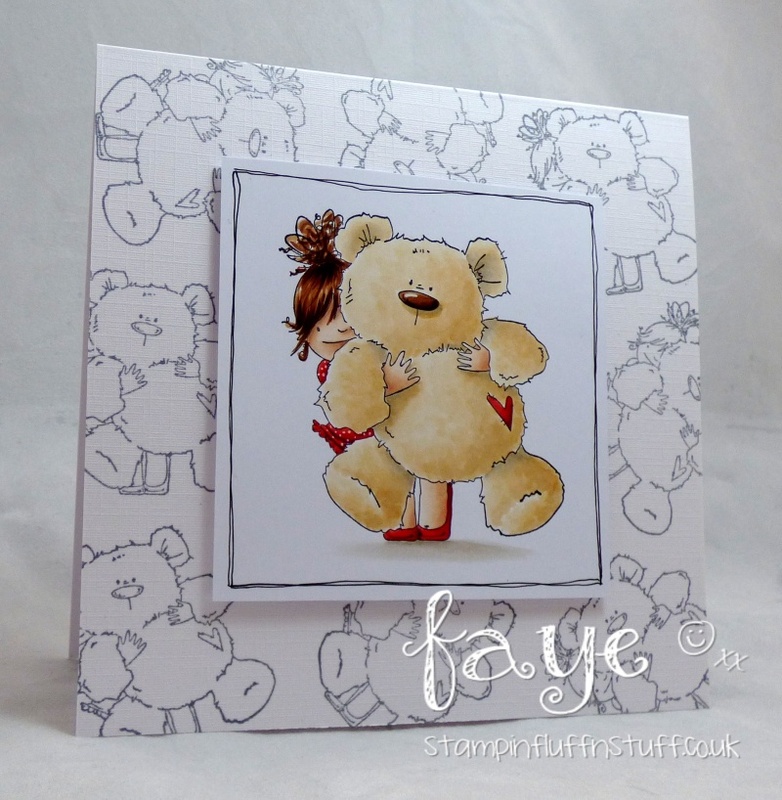 Love this image Faye, one of my favourites and it's beautifully coloured... of course! I adore this! So wonderful!